Summer Solstice, the longest day of the year and a moment filled with promises of another wonderful summer under the sun. There is something just so special about the summer solstice. It’s a new beginning. A new summer. Another year of outdoor fun. Winter Solstice is the longest night of the year and the beginning of winter. It is a time of cold and dark, but also an awakening as we move into longer days and spend our time together indoors. We are blessed to live in a place where we have clearly defined seasons: colourful autumns, snowy and cold winters, wet springs and hot summers. Each season is unique and special. But why? What makes us experience such diverse seasonal weather? And why are our days so long at summer solstice (over 17 hours of sun) and nights so long at winter solstice (over 17 hours of night)? 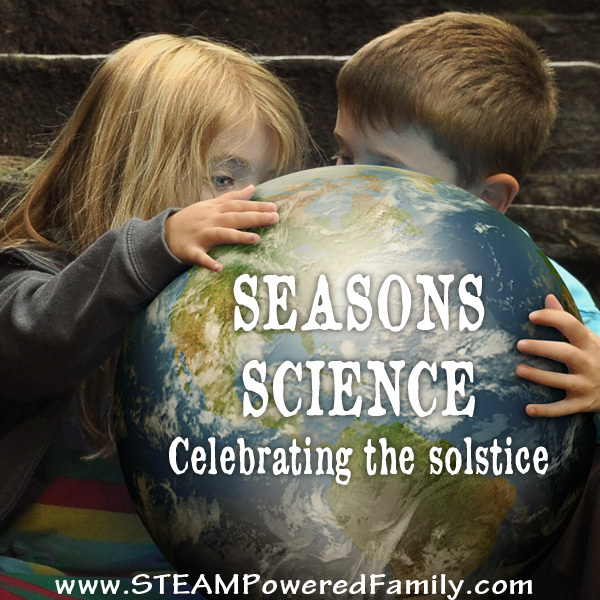 We took on a fun science activity to learn a bit about the science behind the summer solstice and the changing seasons. On June 20 or 21 marks the Summer Solstice. A special moment marking the beginning of summer. Where we live it will also mark over 17 hours between sunrise and sunset, with only a small window of total darkness during the night. A few hours north of here they have light all night long. December 20 or 21 marks Winter Solstice. The beginning of winter and for us a very, very long night. With only 7 hours of very watery, weak sunlight, our winters here are very cold and dark. So Winter Solstice is something to be celebrated, it is a turning of the tides as it marks a reversal. From that day forward our days start becoming longer and the sun stronger. But why does this happen? Why are our days so long for the summer solstice (and so short for the winter solstice)? And what causes our seasons to change? Here’s a fun activity you can do to explore what is happening. 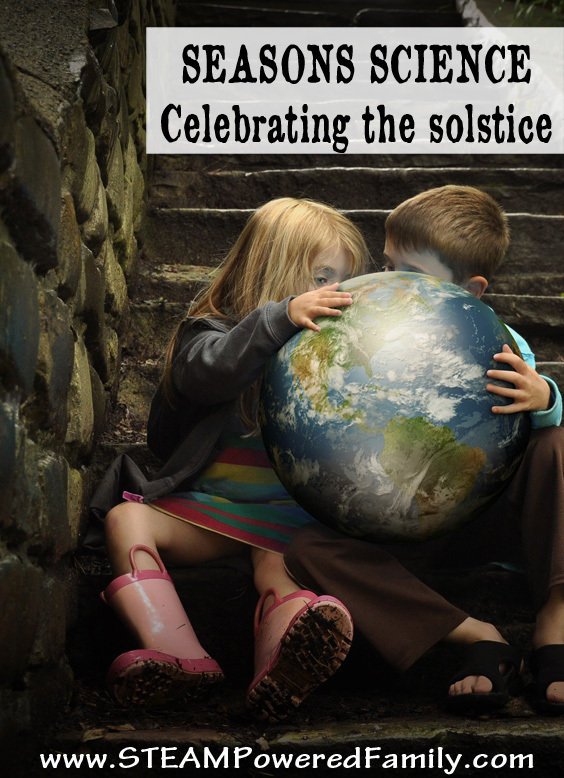 The term solstice comes from the Latin word solstitium which means sun-standing. The summer solstice is the moment when the sun seems to stand still, pausing before reversing it’s pattern and moving again toward shorter days until the winter solstice, the shortest day of the year. The equinoxes (think equal) are the half way points between the solstices. 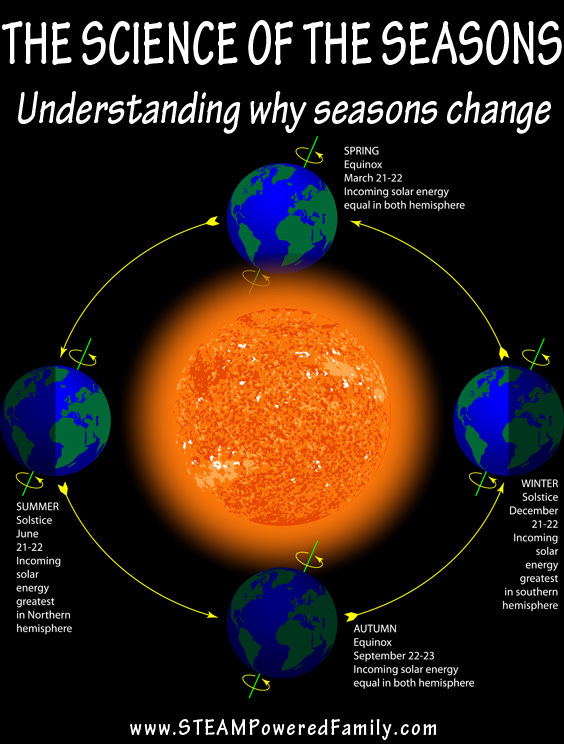 So what causes the seasons? It all comes down to the tilt of the Earth. Take a look at a globe. Notice how it’s on an angle and not hanging with North straight up? If you use a protractor you can measure that angle and it should be right around 23.5 degrees. Our planet doesn’t rotate around our vertical axis (North/South), it’s slightly tilted and this tilt results in our seasons. To do this activity you need a sheet of paper on a board or book. 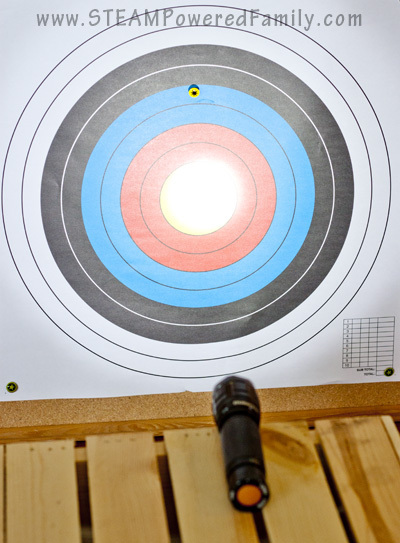 We used an archery target and pinned it to a corkboard. We love our archery targets and are always finding cool uses for them. You will also need a flashlight or desklamp and something to rest the light on so it points directly at the centre of your sheet. We used a wood crate under our flashlight (normally this is our book crate in our homeschool room!). If you are using a blank sheet of paper, draw a circle and place a line through the middle to indicate the location of our equator. On our target we added a pin at approximately our location on Earth. Notice we are quite far North. This is a great opportunity to introduce the term latitude. We live at approximately latitude 53. Using a protractor ensure the sheet is at a perfect 90 degree angle to the floor. Turn on the flashlight and aim it exactly on the equator. Take a moment to look at the intensity of the light on the various parts of the paper. If you want to be exact, use a protractor and measure out a 23.5 degree angle away from the light. How does angling the sheet change the intensity of the light on the various parts of the sheet? Now do the opposite and angle the sheet toward the light. What changes? During the summer our orbit and tilt of the Earth brings us more direct sun. In the winter it is the opposite, causing our days to shorten and winter to take control. Here is a great diagram showing how the tilt and orbit work together. In the winter we often talk about how our sun seems watery and weak. That’s because the tilt of the Earth has caused us to be angled away from the sun. But in the summer we enjoy long days filled with lots of glorious sunshine! So this June 20th, take a moment to enjoy our sun standing and the beginning of another glorious summer season. And don’t forget about this once in a life time opportunity to see a full moon on the summer solstice! Looking for another fun seasons activity? 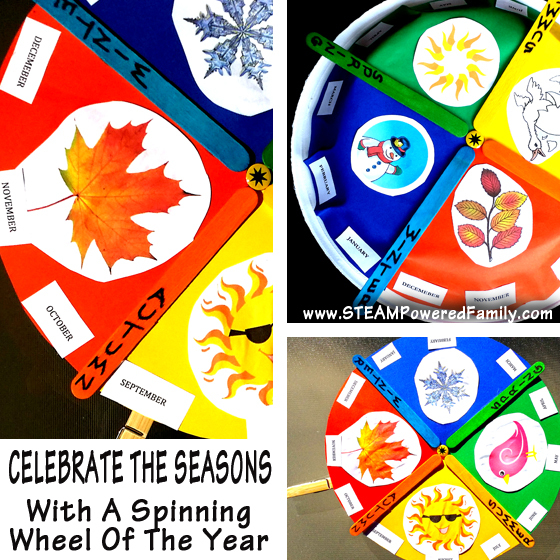 Why not make a Wheel of the Year?